A Pakistani cabinet minister says he is “very hopeful” a young Christian girl accused of blasphemy will be released on bail later this week after spending more than three weeks in custody. Rimsha Masih is currently on remand in the high-security Adiyala jail in Islamabad’s twin city Rawalpindi after being arrested on August 16 for allegedly burning pages containing verses from the Koran. 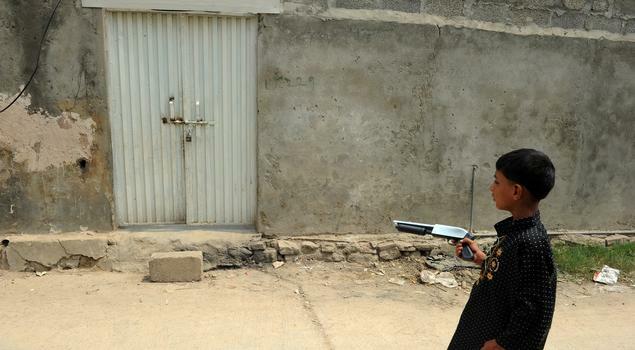 She is “uneducated” and has a mental age of less than 14, according to a medical report, and her case has prompted international concern and anger from rights campaigners. Proceedings to free Rimsha on bail have been repeatedly postponed, most recently on Monday when Judge Muhammad Azam Khan again adjourned the matter after the lawyer for her accuser asked for a stay to show solidarity with a provincial lawyers’ strike. Paul Bhatti, the Minister for National Harmony told AFP in an interview on Monday he was optimistic the youngster would be released at the next hearing, on Friday. “Unfortunately there was strike of the lawyers and that was a technical problem and it was not possible to proceed (with) the hearing,” he said. The case took an unexpected twist on Saturday when the imam who first gave police evidence against Rimsha was accused by his deputy of adding pages from the Koran to the burnt papers taken from Rimsha. Activists say legislation is often abused to settle personal vendettas, and even unproven allegations can prompt a violent public response. But it is rare to see anyone investigated for making a false allegation or interfering with evidence of blasphemy and Bhatti said it could be an important turning point. “The disclosure about the tampering with the evidence will discourage future accusers to misuse this law,” Bhatti said. Bhatti is Pakistan’s only Christian cabinet minister. His brother and predecessor Shahbaz was gunned down last year for speaking out against the blasphemy law. My grandfather was one of the most well-known literary figures in Pakistan’s history and once famously told me that, “Anger is the most extravagant luxury in the world.” I am always reminded of my beloved grandfather’s poignant sentiment whenever I read stories about death sentences being meted out in accordance with Pakistan’s blasphemy laws; with the most recent example being the case of an 11-year-old Christian girl in Pakistan who is facing blasphemy charges for allegedly burning pages of the Koran in rural Pakistan. The child was arrested last week in a Christian area of the capital Islamabad, after a crowd of people demanded that she be punished for allegedly desecrating pages of the Muslim holy book. According to BBC News, it is not clear whether she burned pages of the Koran or was just found to be carrying them in her bag. Additionally, the BBC reported that doctors in Pakistan have examined this young Christian to further determine her mental capacity (some unconfirmed reports stated that she has Down’s Syndrome), with the results due to be presented in a Pakistani court in the coming days. In recent times, these controversial blasphemy laws in Pakistan have created major international headlines and generated debate across the globe. In November 2010, a Pakistani Christian female laborer named Asia Bibi was sentenced to death after a fellow worker accused her of insulting Islam. Her sentence is under appeal, and Bibi is still in jail. Only a few months after Bibi’s death sentence, provincial Gov. Salman Taseer and Federal Minister Shahbaz Bhatti – both prominent Pakistani politicians – were assassinated in cold blood after public calls to amend the blasphemy laws. 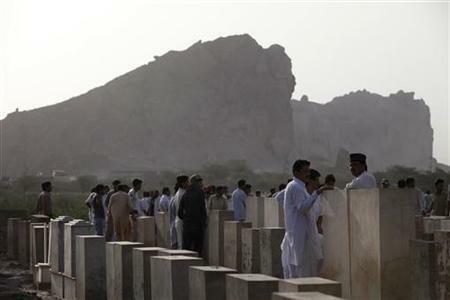 CNN also further reported that militants attacked two mosques in May 2010 and killed more than 90 worshipers of the Ahmadiya sect, a minority Muslim group often “viewed as heretics and blasphemers by hardline Sunnis” in Pakistan. As a proud and practicing Muslim, I have written previously on “blasphemy” issues insulting Islam around the world and how modern Muslim societies should respond to such controversies. Most Muslims are aware of a well-known Islamic parable which tells the story of the prophet Muhammad and his daily interactions with an unruly female neighbor who used to curse him violently and then proceed to dump garbage onto him every day from her perch-top window each time he would ever walk by her house. One day, prophet Muhammad noticed that the woman was not present to throw garbage outside of her window. In an act of true prophetic kindness, he actually went out of his way to inquire about her well-being and then proceeded to visit his hostile neighbor at her bedside inside of her own home when had found out that she had fallen sick. This genteel act of prophetic kindness toward unfriendly (and overtly hostile) neighbors is the truly Muslim and Islamic standard that we should all use within our collective lives, not threats of violence and/or death sentences which disparately impact religious minorities in Muslim-majority nations. After all, if our prophet Muhammad treated those who cursed him with kindness, shouldn’t other Muslims do exactly the same? Thus, although Pakistan has a very long way to go in terms of protecting religious minorities within their national borders, it can take a giant step in the right direction by abolishing its overly-abused blasphemy laws and show compassion to people of other religions, something that Islam’s prophet taught us over 1,400 years ago. At the office of what claims to be one of Pakistan’s oldest newspapers, workers scan copy for words it is not allowed to use — words like Muslim and Islam. “The government is constantly monitoring this publication to make sure none of these words are published,” explains our guide during a visit to the offices of al Fazl, the newspaper of the Ahmadiyya sect in Pakistan. This is Rabwah, the town the Ahmadis built when they fled the killings of Muslims in India at Partition in 1947, and believing themselves guided by God, chose a barren stretch of land where they hoped to make the Punjab desert bloom. Affluent and well-educated, they started out camping in tents and mud huts near the river and the railway line. Now they have a town of some 60,000 people, a jumble of one- and two-storey buildings, along with an Olympic size swimming pool, a fire service and a world class heart institute. Yet declared by the state in the 1970s to be non-Muslims, they face increasing threats of violence across Pakistan as the country strained by a weakening economy, an Islamist insurgency and internecine political feuds, fractures down sectarian and ethnic lines. The town, renamed Chenabnagar by the state government since “Rabwah” comes from a verse in the Koran, is now retreating behind high walls and razor wire, awaiting the suicide bombers and fedayeen gunmen who police tell them are plotting attacks. Last May, 86 people were killed in two Ahmadi mosques in Lahore, capital of Punjab; others were attacked elsewhere in the province. 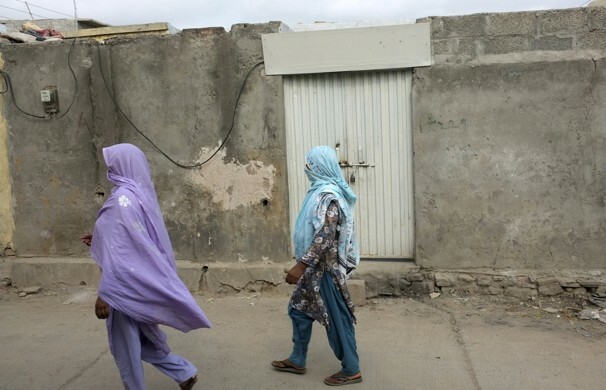 Many fled to Rabwah where the community gives them cheap housing and financial support. Among them is 15-year-old Iqra from Narewal, whose shopkeeper father was stabbed to death last year as the family slept. “I was sleeping in another room when my father was attacked,” she begins in a small voice, pulling a black scarf across her face to cover her mouth in the style of Ahmadi women. Later police found the attacker hiding in a mosque. He had believed the mullahs when they told him that all Ahmadis were “wajib ul qatl”, or deserving of death. The Ahmadis follow the teachings of Mirza Ghulam Ahmad, who in the town of Qadian in late 19th century British India called for a revival of a “true Islam” of peace and justice. His teachings were controversial with Muslims and Christians alike. He argued that Jesus did not die on the cross but escaped and travelled to India and was buried in Kashmir. And he claimed to be the metaphorical second coming of Jesus, destined to put Muslims back on the true path. Many Muslims were offended by the suggestion he had come as a prophet, breaching a basic tenet of Islam that there can be no prophet after Mohammad, whose teachings are believed to be based literally on the word of God, perfect and therefore final. Yet his call for peace, hard work, temperance, education and strong community bonds resonated, and over the years the proselytizing movement acquired millions of followers worldwide. At home, however, their history has been intimately bound up in Pakistan’s own descent from its relatively optimistic birth. Lacking a coherent national identity, it has become a battleground for competing political, religious and ethnic groups seeking power by attacking others. “The mistake of the Ahmadis was that they showed their political strength,” said an Ahmadi businessman in Lahore. Better education he said, meant they obtained good positions in the army and civil service at first; strong community bonds made them an influential force in politics up to the 1970s. But they also made an easy target for the religious right who could whip up anti-Ahmadi sentiment for political gain. Ahmadis follow two different schools of thinking, but will argue, often with detailed references to the Koran in both Arabic and English, that they do not dispute the finality of the Prophet Mohammad. Their erudite theological arguments, however, had little chance against the power of the street. After anti-Ahmadi violence, they were declared non-Muslims in 1974. In the 1980s, their humiliation was completed when legal provisions barred them from associating themselves with Islam, for example by using the call to prayer or naming their place of worship a “masjid” or mosque. “You can say you don’t consider me to be a Muslim but you can’t force me to also say I am not a Muslim,” complains Ahmed, the amir, the pain clear in his voice. Yet in the newspaper office in Rabwah, a white board displays the words they are not allowed to use — they could be accused of blasphemy, which carries the death penalty. Many Pakistanis, if you ask about treatment of the Ahmadis, shrug it off — it’s an old story, they say, dredged up by westerners who do not appreciate the importance of the finality of the Prophet. Yet there are signs the attitudes first directed toward Ahmadis are spreading to other sects. In a country which is majority Sunni, and where insurgents follow Sunni Islam, Shi’ites and even Sufi shrines have been bombed. A 2010 study by Pakistani analyst Ayesha Siddiqa of students in elite colleges found that while 60 percent said the government was right to declare Ahmadis non-Muslims, a sizeable 18 percent believed Shi’ites were also non-Muslims. These and other findings led her to conclude that radicalism was growing even among the educated youth — it is often, wrongly, blamed on poverty — which in its extreme form could lead people into violence. In the nearest town to Rabwah, the central square as been renamed “Khatme Nubuwwat” Chowk, meaning the finality of the Prophet. Beyond, low jagged hills spike up above the dusty land, the summits of much bigger rock formations below the surface. Now they are surrounded by a very different country. Rabwah itself is open to the outside world — despite the high walls guarding individual houses, it is not a walled town. “Under the circumstances we try to take the best measures we can to protect ourselves,” says the amir. “But what we can do is very limited. We don’t have a mindset or training for that. Given the global attention received last fall by the Florida pastor who announced that he would burn the Quran on the anniversary of 9/11, I was frankly surprised to learn that he had found a way to break his promise and burn one anyway. 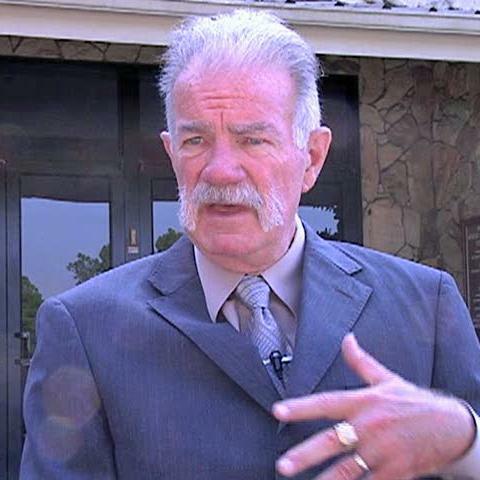 Pastor Terry Jones and his congregation at Dove World Outreach Center had managed to stay below the national media radar; most people probably forgot about them in places other than their community of Gainesville, Florida. But they have certainly been caught in the radar now, having done something even more daring and despicable than the demeaning act of burning a copy of the Quran. The pastor held court with the Quran as the defendant. On March 20, 2011, he set himself up as the judge, invited a Muslim who had converted to Christianity to serve as prosecuting attorney and the president of the Islamic Center of Texas to act as defense attorney. “Expert” witnesses included other Muslims who had converted to Christianity. Anticipating a “guilty” verdict, the question announced in advance on the lawn of the church’s property was whether the Quran should be burned, drowned, shredded, or shot. Following the jury’s rendering of the verdict, the Quran was soaked in kerosene and ignited, like charcoal in a barbeque pit. In spite of all the absurdity and chicanery of this “mock trial” and the sophomoric behavior of its master-mind, I find this whole affair to be not at all amusing. To the contrary, it is not only a shameful display of religious bigotry and ignorance, but also a burlesque-like mockery of our system of jurisprudence. All things considered, it is frighteningly childish act. What I find so alarming about this act is the extent to which Jones and his flock have gone to accomplish now what they set out to do last fall. All the reasons given then for not burning a copy of the Quran still apply: inflaming the Muslim world, aiding and abetting Al-Qaeda’s recruitment, putting U.S. military personnel forces at greater risk, etc. But surrounding oneself with the accoutrements of justice and feigning to sit in judgment on the sacred literature of 23 percent of the world’s population, about whom you really—and evidently—know next to nothing, is a most disturbing demonstration of antipathy in search of a venue in order to attract attention and stoke further the barbeque pit of mind-numbing evil. 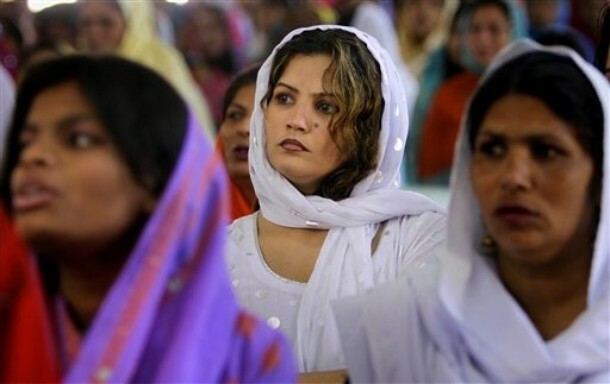 NANKANA SAHIB, Pakistan | Muslim cleric Muhammad Salim isn’t worried that a court or Pakistan’s president might spare a Christian mother from this village who has been sentenced to death on blasphemy charges. After all, if Asia Bibi escapes the hangman’s noose, he’s confident someone else will kill her. Salim isn’t the only one calling for vigilante justice. A cleric in Peshawar has offered 500,000 rupees, or $6,000, to anyone who kills Asia Bibi, if her execution doesn’t take place. The mother of five is accused of disparaging the prophet Muhammad and the Qur’an during a dispute with three other women. She denies the charge. “My God knows that I never used those words,” she told investigators. Her case has exposed deep rifts in Pakistan over the blasphemy law, seen by some as an appropriate measure to defend the tenets of Islam, but viewed by others as a dangerous tool easily abused in a society that is a volatile patchwork of ethnicities, religions and sects. There have been other controversial blasphemy cases. Accused of burning pages from the Koran, Imran Latif was charged with blasphemy in Lahore but then released on bail Nov. 3. Eight days later, two men shot him to death. This month in the southern city of Hyderabad, a Shiite doctor was arrested on blasphemy charges after police received a complaint that he had maligned the prophet Muhammad. His crime? He tossed out the business card of a pharmaceutical company representative whose first name, Muhammad, was printed on it. The doctor belongs to the smaller Shiite sect known as Ismailis. The law dates to the 1980s and the rule of Gen. Zia ul-Haq. Since Zia’s rule, 974 people have been charged under the law, according to the Pakistani news media. No one has been put to death for a blasphemy conviction. UNITED NATIONS — President Mahmoud Ahmadinejad of Iran made a series of incendiary remarks in his speech to the United Nations General Assembly on Thursday, notably the claim that the United States orchestrated the Sept. 11 attacks to rescue its declining economy, to reassert its weakening grip on the Middle East and to save Israel. Those comments prompted at least 33 delegations to walk out, including the United States, Canada, Australia, New Zealand, Costa Rica, all 27 members of the European Union and the union’s representative, diplomats said. The annual General Assembly started formally on Thursday, with scores of presidents, kings and ministers expected to address the gathering over the coming week. The speeches often fail to break new ground or lack electricity, so the occasional theatrics inevitably attract considerable attention. Mr. Ahmadinejad rarely disappoints on that scale, although he seemed to go out of his way to sabotage any comments he made previously this week about Iran’s readiness for dialogue with the United States. The theme of his often flowery speech was that the capitalist world order was collapsing and he cited three examples: the attacks of Sept. 11, 2001, the Israeli occupation of Palestinian lands, and the pressure on Iran over its nuclear program. The United States Mission to the United Nations swiftly issued a terse response. “Rather than representing the aspirations and goodwill of the Iranian people, Mr. Ahmadinejad has yet again chosen to spout vile conspiracy theories and anti-Semitic slurs that are as abhorrent and delusional as they are predictable,” it said in a statement. It was not the first time Mr. Ahmadinejad espoused the theory, but never before so publicly. “The majority of the American people as well as other nations and politicians agree with this view,” he said. 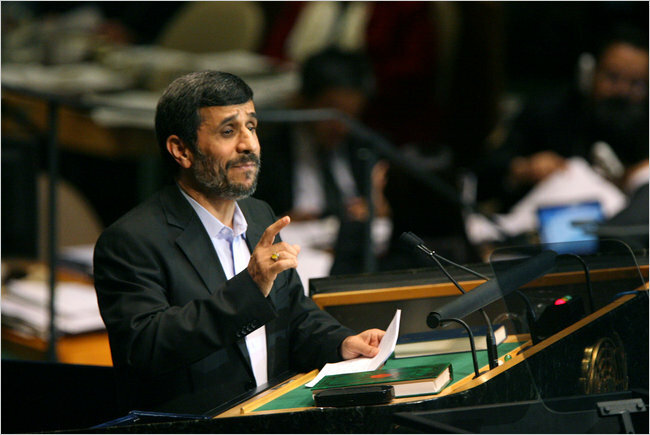 Mr. Ahmadinejad obviously delights in being provocative during his annual visit to the United Nations. He framed his comments about Sept. 11 as an examination of opinions, an approach he has used repeatedly in questioning the Holocaust. But his assertion that the majority of Americans agree with him surely lacked any factual basis. As did his claim that reviving the American economy was the motive behind the devastating attacks on the World Trade Center and the Pentagon; the United States economy declined significantly after the attacks. In his interviews with journalists, much like during his debates with opponents in the disputed Iranian presidential election last year, Mr. Ahmadinejad has often been accused of making up statements wholesale. But analysts noted that his remarks should be viewed through the prism of domestic politics in Iran, where conservatives try to outflank him. They said that during a recent Friday prayer sermon, Ayatollah Ahmad Jannati said that 84 percent of Americans believed their own government was behind the attacks. Iran also cultivates an image as the voice of all Muslims in confronting the United States, and the idea that Americans rather than Islamic extremists carried out the 2001 attacks has long resonated among Arabs. “This is very helpful to Ahmadinejad’s desire for greatness in the Arab world,” said Ali Mirsepassi, a professor of Middle Eastern studies and sociology at New York University. The other two theories on the attacks presented by Mr. Ahmadinejad were that terrorists who penetrated American security were responsible, and that terrorists carried out the attacks but then the American government took advantage of the situation. He even suggested that the United Nations create a fact-finding panel to study the theories. The other speeches Thursday followed more traditional lines, although not without moments of passion. Prime Minister Wen Jiabao of China focused his speech exclusively on China’s domestic accomplishments, with a brief global reference at the end when he suggested a vital, peaceful China was good for the world’s peace and prosperity. The speech, entitled “Getting to Know the Real China,” lauded the country’s economic progress while recognizing that it had a way to go with 150 million people still living in poverty. Mr. Wen said China was determined to forge even greater progress through education, science and technology. The Turkish president, Abdullah Gul, endorsed American efforts to negotiate peace in the Middle East, but criticized Israel both for its presumed nuclear arsenal and for attacking a Turkish-organized humanitarian convoy at sea in May during which nine people were killed. Mr. Gul called the attack a violation of international law, and he welcomed a report released Wednesday by United Nations Human Rights Council, which endorsed that viewpoint.President Bingu wa Mutharika of Malawi, speaking on behalf of the African Union, urged the General Assembly to defer for one year the war crimes charges brought by the International Criminal Court against President Omar Hassan al-Bashir of Sudan. He said that would avoid jeopardizing the outcome of a referendum scheduled for January on independence for southern Sudan. As a pastor from a small church in the U.S. state of Florida plans to burn Korans on September 11, Christian, Jewish and Muslim leaders stood side by side at the National Press Club in Washington Tuesday to show their solidarity against anti-Muslim acts of discrimination in the U.S.
A group of religious leaders from Christian and Jewish faiths joined together with the Islamic Society of North America for an emergency meeting to discuss a recent increase in anti-Muslim rhetoric and intolerance. Baptist Pastor Gerald Durley spoke for the group. “As religious leaders in this great country, we have come together in our nation’s capital to denounce categorically the derision, misinformation and outright bigotry being directed against America’s Muslim community,” he said. The group said people around the world have seen non-Muslim Americans show fear and contempt toward their Muslim neighbors–emotions that have generated from a national debate about a planned Islamic Center near the site of the September 11, 2001 terrorist attacks in New York City. Catholic Cardinal Theadore McCarrick, Archbishop of Washington, said he wants the international community to understand that the U.S was built on the principle of valuing one another. “I have a great fear that the story of bigotry, the story of hatred, the story of animosity to others is going to be taken by some to be the story of the real America and it’s not. This is not our country and we have to make sure our country is known around the world as a place where liberty of religion, where respect for your neighbor, where love for your neighbor, where these things are the most prominent in our society,” he said. A Christian pastor in Florida says his church will burn Korans on Saturday, the ninth anniversary of the terrorist attacks on the United States. He says the act serves as a protest against violent Islamist extremists. The local government has denied the church a permit to conduct the public burning. But the pastor of the Dove World Outreach Center has vowed to go ahead with his plan. Rabbi Nancy Fuchs-Kreimer says the interfaith group strongly condemns the desecration of a sacred text. “We stand by the principle that to attack any religion in the United States is to do violence to the religious freedom of all Americans,” she said. Farhana Khera, president of the organization Muslim Advocates, was part of a separate group of religious leaders that met with U.S. Attorney General Eric Holder at the Justice Department. She said Holder also condemned the plan. 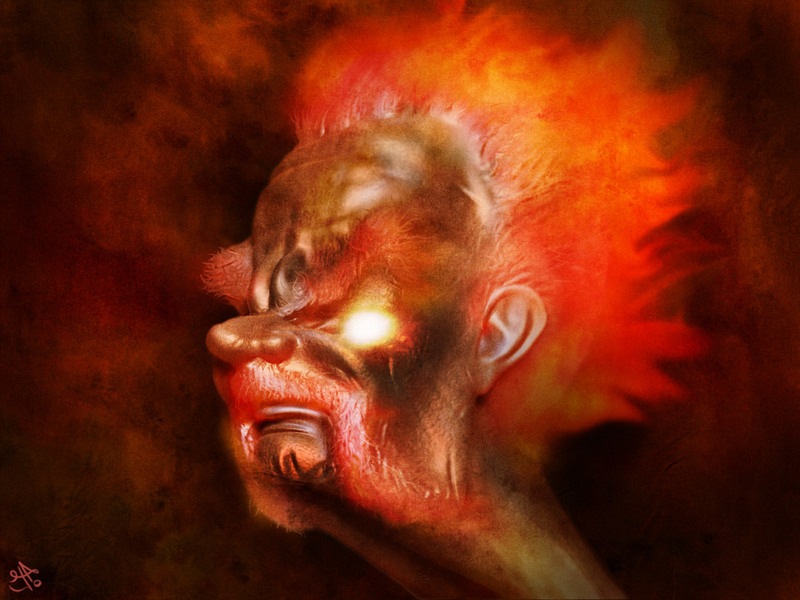 “To quote the attorney general, he called the Gainesville plans, burning of Korans, idiotic and dangerous,” Khera said. The plan has sparked protests in Indonesia and Afghanistan. Demonstrators in the Afghan capital burned the American flag and shouted “Death to America.” Islamic Society of North America President Ingrid Mattson says American Muslims must show the world that the U.S. is a place where all religions can live together in peace. “American Muslims have a unique ability to be this bridge and to show the Muslims who do not live in this kind of freedom that an open, pluralistic atmosphere where there are diverse religions together can really be good for everyone,” she said. Tensions have heightened in America as the anniversary of the attacks approaches. In 2001, Islamist extremists killed nearly 3,000 people by ramming passenger planes into the twin towers of the World Trade Center in New York and the Pentagon.